Anyone looking for a filthy thing? What if we told you that it’s formed from the maiden of the soul of offerings, grudges, and rotten limbs? And here’s the clincher: this thing is – wait for it – crawling AND twitching on the altar. Damn right you want it, because the filthy thing in question is Shikigami Orochi, a brand new SSR coming to Onmyoji this week. And don’t worry – this evil god creature doesn’t twitch on the altar for long. That’s just his highly dramatic introduction to the universe. In the game Shikigami Orochi takes the form of a giant, hate-filled snake, which is much more dramatic. This is just the latest new addition to one of the most sophisticated and visually impressive RPGs to have hit the mobile app stores in recent years. If you haven’t played Onmyoji yet, here’s the skinny: it’s a turn-based fantasy strategy-RPG that draws heavily on Japanese mythology, creating a beautiful, Ghibli-esque world. The aim is to build teams of shikigami – sort of spirits or ghosts from onmyodo mythology – and use them to defeat demons and other players, who are probably not demons. 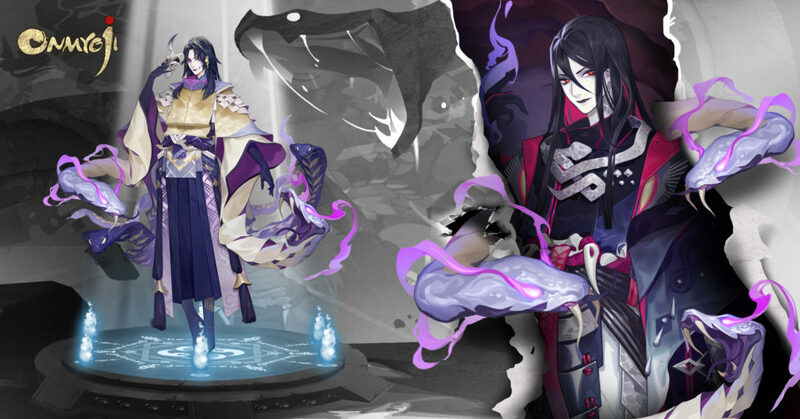 There are hundreds of shikigami to discover and add to your army, and all of them can be levelled up and customized. Plus, they all have their own backstories and personalities, making for a rich and vibrant in-game universe. Meanwhile the production values are sky high. Not only does Onmyoji look fantastic, but it sounds great too, thanks to an elite cast of voice actors like Rie Kugimiya, and Jun Fukuyama, and a score from composer Shigeru Umebayashi. 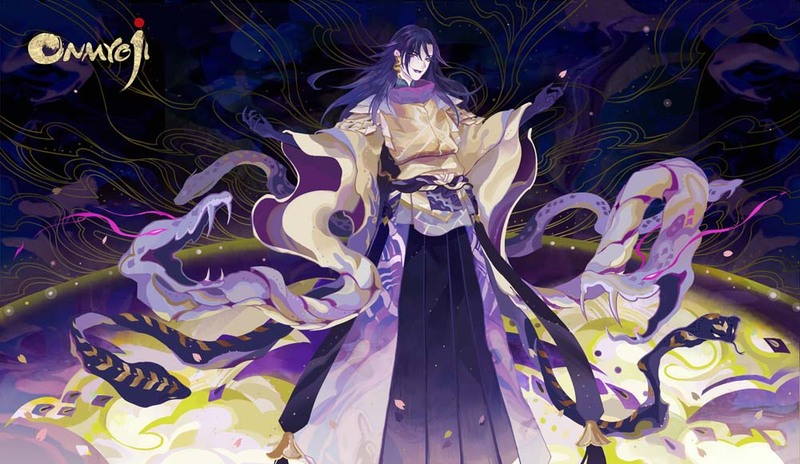 Onmyoji has been garlanded with accolades, including a Google Play Best of the Year award and a Game of the Year award on Facebook. If you haven’t picked it up yet, this week would be a good time since the latest update is accompanied by an Orochi Memory Scrolls event, which will enable to you repair memory scrolls and win awards. Download Onmyoji for free right now on Google Play.